The CVHS girls varsity soccer team tied against Berkeley on Jan. 9, with the final score of 2-2. The score reflects the ambience and competition on the field, as the game was a close and highly contested match. “We kept up with them. For me, the biggest thing was that the intensity and work rate to not give up was there,” said coach Vanessa Amaral, who is in her first year of coaching the team. The game began and the two teams were constantly neck and neck, continuously gaining and losing possession of the ball. The first noticeable feature on the Yellowjackets’ team was their goalie, who took charge of the game and organized Berkeley’s attack. However the Trojans’ well coordinated offensive attack and skill led the teams to a 1-1 halftime score, after a Trojan penalty kick taken by junior Juliette Torres. The game resumed as intense as it left off with the Trojans’ Myla Ogle scoring with 18 minutes left in the game. However, after a promising Berkeley corner kick, and five minutes before the end of the second half, the score remained tied at 2-2. 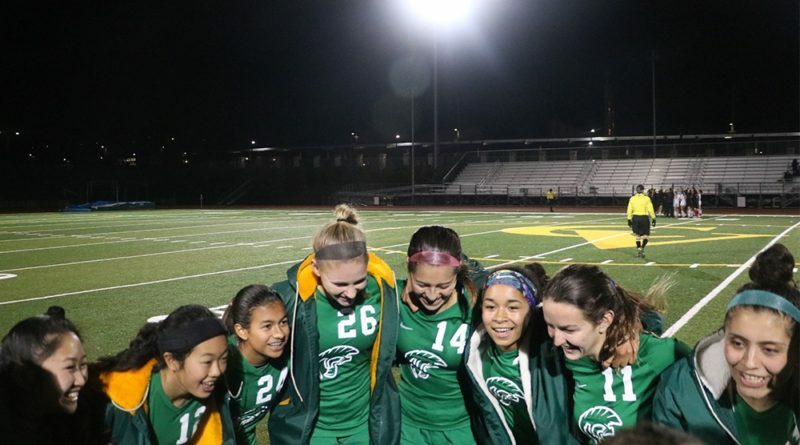 “I definitely think we can improve on moving the ball more and creating opportunities on goal as a team,” said senior and captain Audrey Vance, who has been a varsity player for two years. Overall the season has gone remarkably well, as the team has a record of six wins, three ties, two loses. “Going forward, I think we can work more on keeping our defensive shape and shaping the field when we don’t have the ball,” said Amaral. The girls’ senior night is on Feb. 7, where they will play against their rivals, the Bishop O’Dowd Dragons, and wish the five seniors off the team. Be sure to come out to support the girls soccer team!